Welcome to one of my favorite Sci-Fi movies ever! 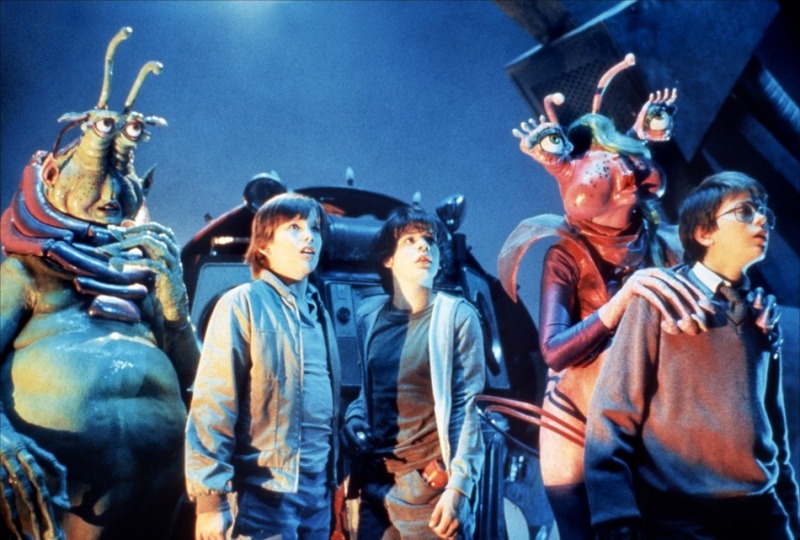 From hit-and-miss director Joe Dante (who gave us the brilliant ‘Gremlins’ in 1984, as well as the woeful ‘Amazon Women on the Moon’ in 1987) came this masterpiece of children’s Science-Fiction fantasy, starring classic ‘80s child stars Ethan Hawke , the late River Phoenix and Darren Woods. The storyline itself is a wish-fulfillment joy. School outsider Ben Crandall (a nerdy Ethan Hawke) is plagued by reoccurring dreams of circuit boards and electronic machinery which he discovers he shares with his geek friend Wolfgang Müller (a bespectacled River Phoenix). They start assembling the equipment shown to them in their dreams and are soon joined by another outsider, the loner Darren Woods (a shaggy haired Jason Presson), creating several of the film’s best scenes as things frequently – and humorously – go wrong. In time they construct a home-made spaceship from various bits and pieces taken from a local junkyard, including a washing machine door for a window (famously the iconic sleigh named Rosebud from Orson Welles’ 1941 cinematic triumphant ‘Citizen Kane’ can be seen perched on top of the pile of junk they retrieve their salvaged parts from, one of many in-jokes throughout the movie). The tentative first flight of their improvised spaceship goes terribly, but amusingly wrong, causing panic in their local neighborhood but it sets up the eventual journey of their spacecraft (named Thunder Road after a Bruce Springsteen song) into outer space and a rendezvous with a mysterious alien craft. Once there the three boys get separated as they explore the inside of the vast ship eventually reuniting and discovering the true purpose of their dreams – and their voyage into space. While having a relatively straightforward storyline – with a nice twist towards the end – ‘Explorers’ is so much more than that. With wonderful acting from the entire cast, great special effects, obvious references to classic movies (particularly Sci-Fi ones), engaging characters and witty dialogue, it rapidly became the dream movie of pretty much every child in the mid-1980s who wished for something more than the mundane realities of life. The wonderful warm nature of the movie that made it so beloved back then has faded only a little with time and it retains many of its charms. And seriously, what imaginative Science-Fiction obsessed child wouldn’t wish for aliens to communicate the plans for building a spaceship through their dreams? 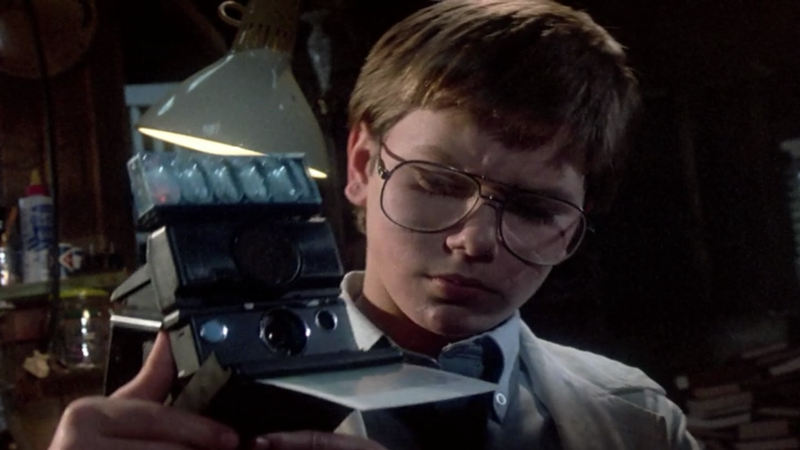 ‘Explorers’ is available in several DVD editions, none of which really do justice to one of the quintessential children’s SF movies of the 1980s but please do judge for yourself. I don’t think you’ll be disappointed.